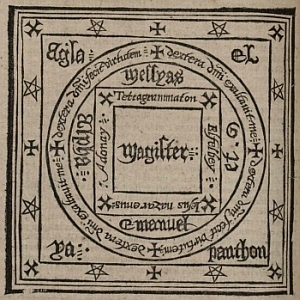 This image depicts the magician Faust invoking the spirit of Mephistopheles, in the image of the small ragged demon, similar to the description and image from Faust’s Magia Naturalist et Innaturalis. 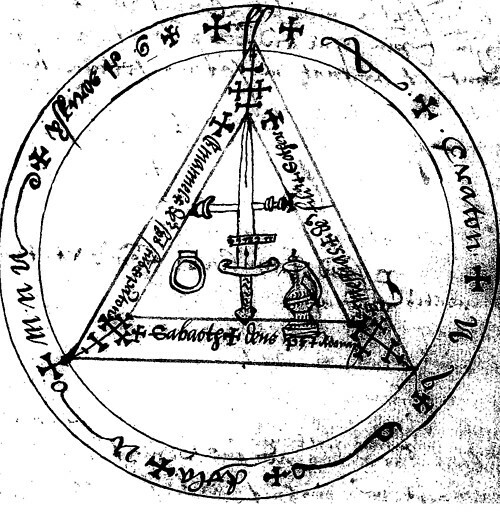 The text reads: “Mephistopheles, the most notorious of the spirits of evil, is closely identified with the exploits of Dr. Faust. 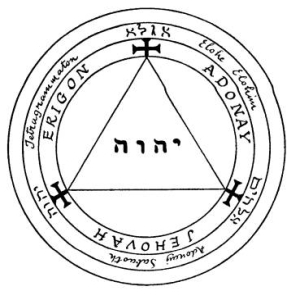 Goethe defines Mephistopheles as “part of the power that still works for good while ever scheming ill.” The majestic figure of the archtempter familiar to opera-goers is not the Mephistopheles of the Grimoires. 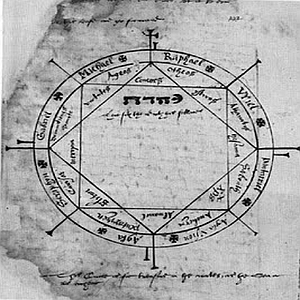 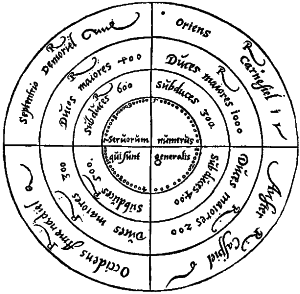 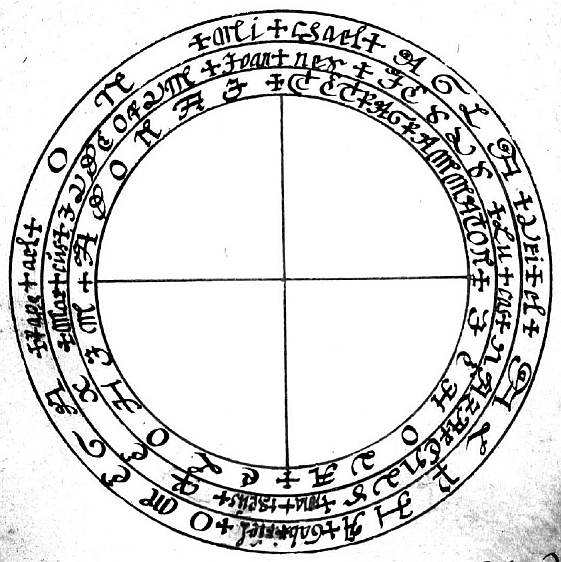 The secret archives of magic contain the names and descriptions of all the elemental demons and the methods by which they can be controlled. 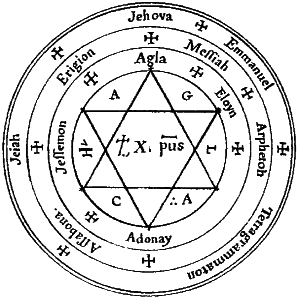 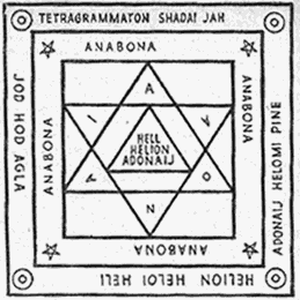 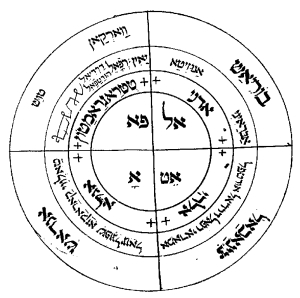 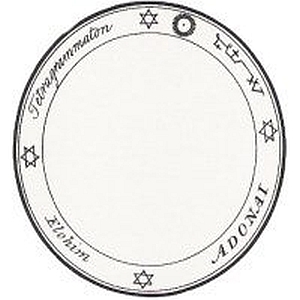 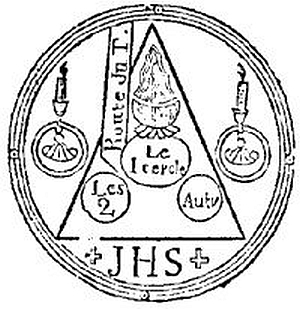 Of Mephistopheles it is written: “He is under the power of Jupiter and his regent’s name is Zadkiel, one of the throne angels of the Holy Jehovah. 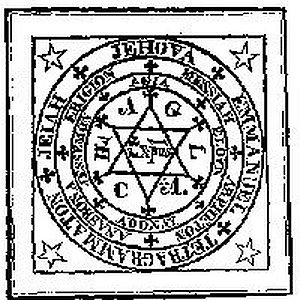 He can be made to appear early on Wednesday mornings (Jupiter’s day and hour) or late the same evening. 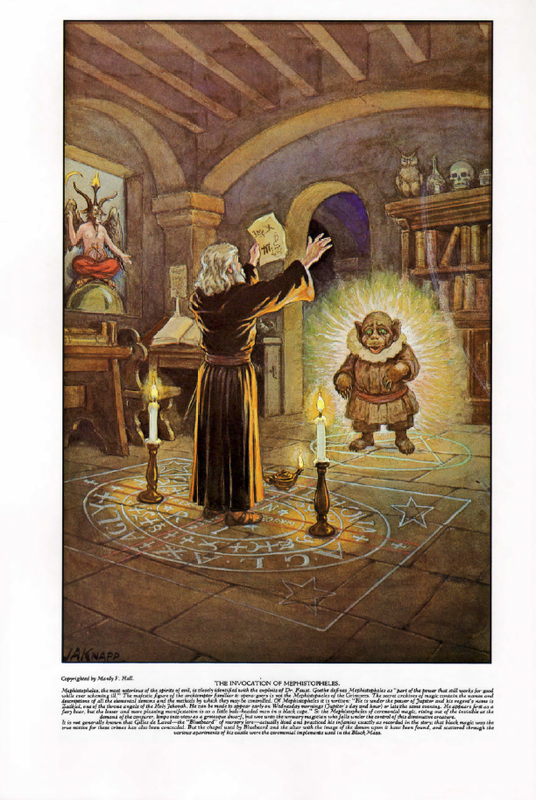 He appears first as a fiery beat, but the lesser and more pleasing manifestation is as a little bald-headed man in a black cape.” So the Mephistopheles of ceremonial magic, rising out of the invisible at the demand of the conjurer, limps into view as a grotesque dwarf, but woe unto the unwary magician who falls under the control of this diminutive creature. 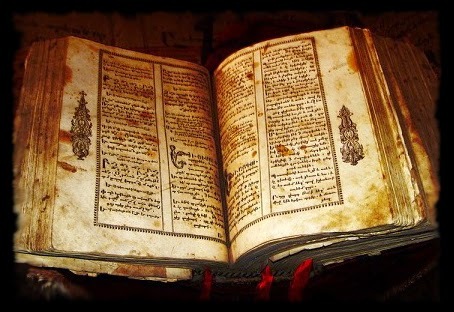 It is not generally known that Gilles de Leval – the “Bluebeard” of nursery lore – actually lived and practiced his infamies exactly as recorded in the story; that black magic was the true motive for these crimes has also been concealed. 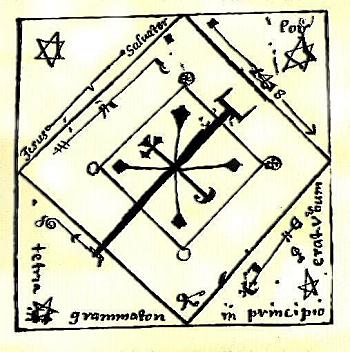 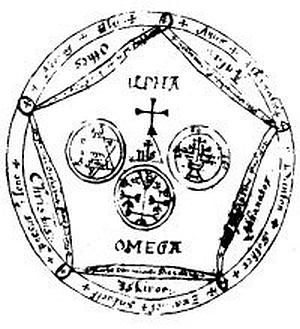 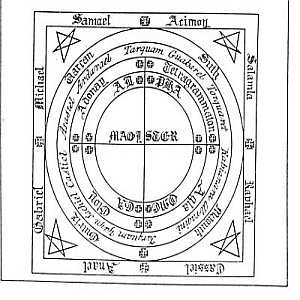 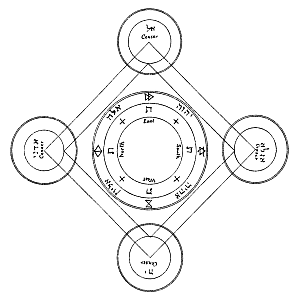 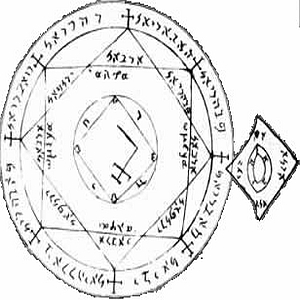 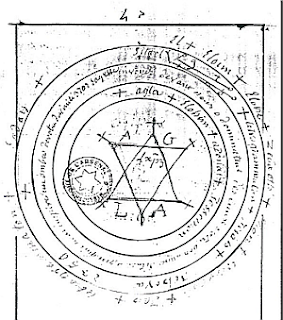 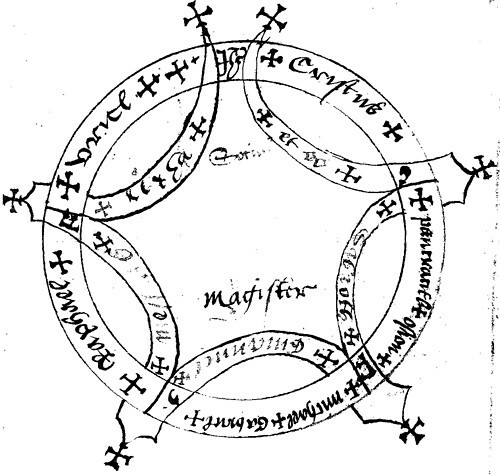 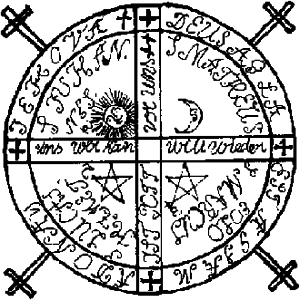 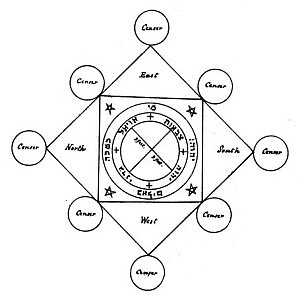 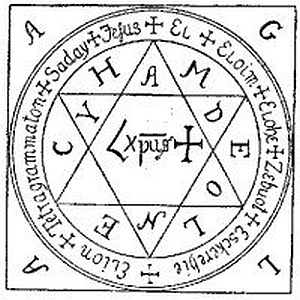 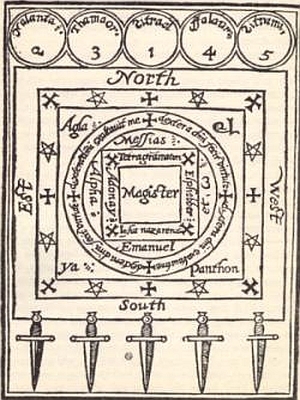 But the chapel used by Bluebear and the altar with the image of the demon upon it have been found, and scattered through the various apartments of his castle were the ceremonial implements used in the Black Mass.